I love soda, but being a Type-2 Diabetic prevents me from having one very often. Sure, I have a soda once every month or two for a treat, but other than that it's water or flavoured seltzer. My soda of choice is Coca Cola and, if that's not available, I'll have a Pepsi. 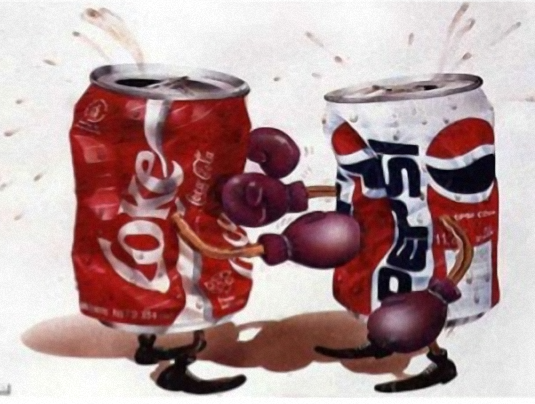 In 1985, Coca Cola performed one of the biggest marketing blunders of all time. They discontinued Coke and brought out New Coke. Huh? There was such a backlash; Coca Cola brought back the old formula, three months later, dubbing it Coke Classic. The new formula was New Coke until 1992, when the name changed to Coke II. In 2002, the company discontinued Coke II. As a kid, who cared about calories, sugar and various diseases? I loved drinking soda. My mother always bought it for us. Mom bought diet Tab for herself, which actually tasted good. It so-called diet sweetener was cyclamates, which later was found to cause cancer in lab rats. What they didn't tell you was how much the rats ingested to cause the cancer. I'll tell you with one word (sic): a great deal. The Federal Drug Administration (FDA) banned cyclamates. Saccharin took its place. The problem was saccharin had a bitter aftertaste. NutraSweet replaced Saccharin. NutraSweet also had a bad aftertaste, at least for me. One of the known side effects was headaches, to which I am prone. I stayed away from any soda that included NutraSweet. The next big thing in artificial sweeteners was Splenda. Pepsi used it for a time, but dropped it in late 2017, in favour of NutraSweet. Ugh. Although Diet Pepsi wasn't as good as regular Pepsi, it still tasted better than Diet Coke. Now that the Splenda was replaced with NutraSweet, I don't drink that either. The other artificial sweetener I used for a time was Stevia, which comes from a plant in the ragweed family. I didn't know that until my wife showed me an article on it; then I read some more. Hmmm, we thought, maybe that's why I'm always coughing and sneezing. I must be allergic to ragweed. ► I called my allergist. My allergist said he hadn't heard of that Stevia and ragweed, but if he found anything, he'd call me back. Must I tell you he didn't call? I stopped using Stevia and my coughing and sneezing slowly got better. I'm not 100% over the coughing, but certainly better than before. I also asked my allergist if he had tested me for ragweed. He said that he didn't, but my primary doctor did the proper blood test that came back negative. I would need skin testing to make sure. That will happen in several months. Coca Cola recently introduced a new flavour, Orange Vanilla Coke. The advertisements make it look so delicious and refreshing. My wife bought a twelve-pack of the diet version. Melissa, my daughter, tried it the other day; she said it tasted like a creamsicle. She didn't save me any. Tonight at dinner, my wife opened a can and I tried it. Oh my god, it was awful. It tasted like some sort of medicine. If the diet version is bad with the horrible aftertaste, I'm sure the regular version is no better. My wife's favorite soda is Dr. Pepper, which is pretty much a cherry cola. That's why both Coke and Pepsi came out with their own versions of cherry cola. I wasn't fussy when I could drink soda; I bought whatever was on sale. Now, I don't buy any soda, only flavoured seltzer, when it's on sale. I enjoy Pomegranate, Raspberry Lime, Lemon and Black Cherry. It's the bubbles that satisfy the soda craving, but without the chemicals, sugar and calories. After oral surgery a couple of weeks ago, I felt my blood sugar dropping like a rock. I got a couple bottles of Pepsi. Yes, they were on sale for .99 cents each. It helps when there is more ice than soda in the insulated cup. ► Be wary of artificial sweeteners. Do yourself a favour, read up on NutraSweet, Splenda and Stevia. None of them can do you any good. The first two, according to most available research, are carcinogenic.